Grilled Cilantro Lime Chicken is grilled chicken coated in cilantro lime marinade is delicious served by itself or in a taco. Weight Watchers friendly- 5 SmartPoints! It’s officially summer, which means hanging outside and grilling! I love cooking light and easy meals during the summer so that I can spend more time relaxing and less time cooking. My Grilled Cilantro Lime Chicken is a great easy dish to make for a backyard barbecue or busy weeknight. Perfectly grilled chicken breast coated in a flavorful cilantro lime marinaded. Delicious served by itself, wrapped in a taco, or even served in a burrito bowl! This is a Weight Watchers friendly recipe and each serving is 5 SmartPoints. Summer has a new meaning to me now that I live in Indianapolis and not Texas. Mostly because it’s actually bare-able to go outside since it’s not over 100 degrees. I mean, the only reason to be outside in the summer if you are in Texas is if there is a pool nearby. I recently spent some time back in Texas to visit my family and luckily my parents have a pool, otherwise it would have been too hot to be outside. I’ve lived in Indy for about 11 months now and I have totally acclimated to the cooler weather here. For instance, its day 6 of summer and the high today is 80 degrees. It’s perfect! The Fourth of July is coming up and that is probably my husband’s favorite holiday. He’s ready for the fireworks and I’m ready for the forth because it gives me a reason to make a festive meal. 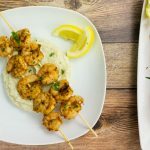 This Grilled Cilantro Lime Chicken along with my Grilled Blackened Shrimp Skewers are definitely going to be on the menu for our outdoor party! If you are looking for something different to bring to your Fourth of July party, I suggest you make this. Chicken breast marinated in a sweet and tangy cilantro lime sauce…. Now that sounds delicious. The great thing about this recipe is you can make it ahead of time and the chicken can be grilled outside, or even inside with a grill pan! The marinade really is the star of the show in this recipe. Garlic, vinegar, olive oil, jalapeno, honey, cilantro, and lime… what’s not to love?! 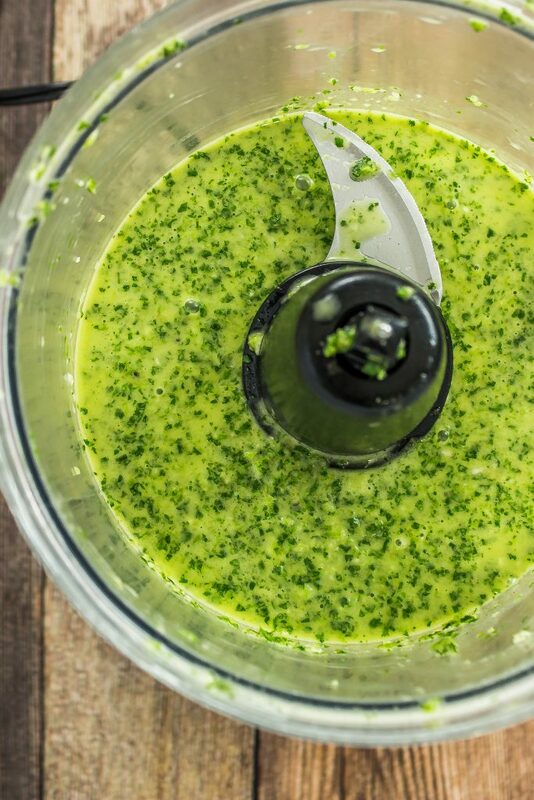 To a food processor, add all the marinade ingredients and pulse until well combined. Add half of the marinade to a zip lock bag along with the chicken breast and let marinade for at least 30 minutes up to 12 hours. This step can totally be done ahead of time if you plan to grill this later in the day or bring it to a party to grill. Heat your outdoor grill on medium high heat. If you are grilling indoors, brush olive oil on a grill pan and heat the grill over medium high heat for 10 minutes. Grill the chicken breast on each side for about 7 minutes, brushing some of the marinade on top of the chicken half way through. 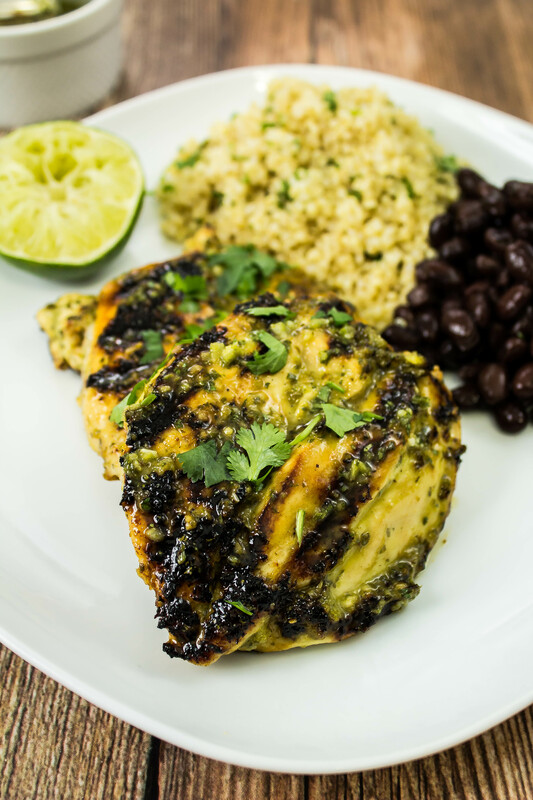 Grilled Cilantro Lime Chicken is perfect to make for your upcoming Fourth of July party! Perfectly grilled chicken breast coated in a flavorful cilantro lime marinade. Delicious served by itself, wrapped in a taco, or even served in a burrito bowl! I like to serve this with my Cilantro Lime Quinoa on the side or as the base of a burrito bowl. 5 Weight Watchers SmartPoints per serving! Season chicken breast with salt and pepper and add to a large zip lock bag. 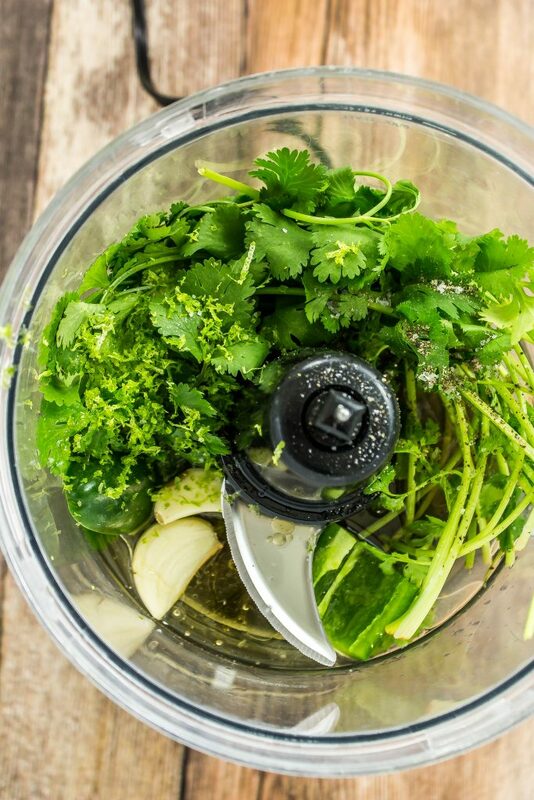 In a food processor (or blender), add cilantro lime marinade ingredients and pulse until well combined. Pour ½ glaze into the large zip lock bag with chicken. Shake to coat the chicken. 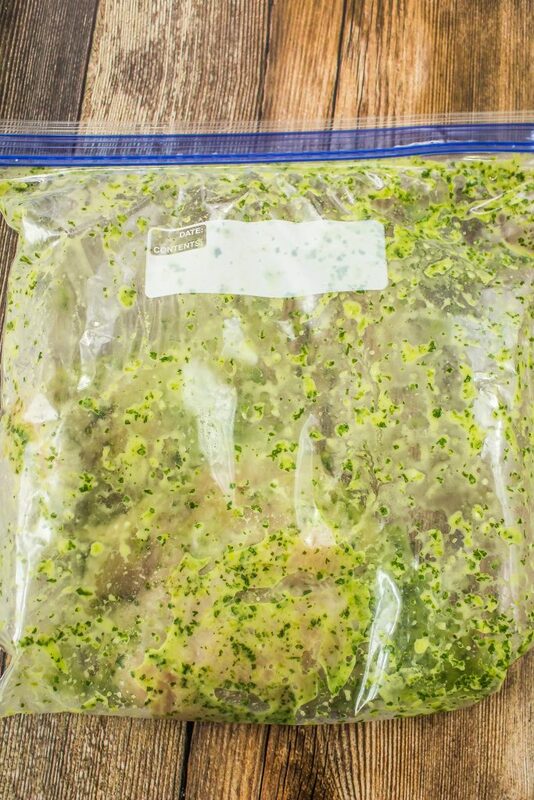 Marinade for at least 30 minutes up to 12 hours. 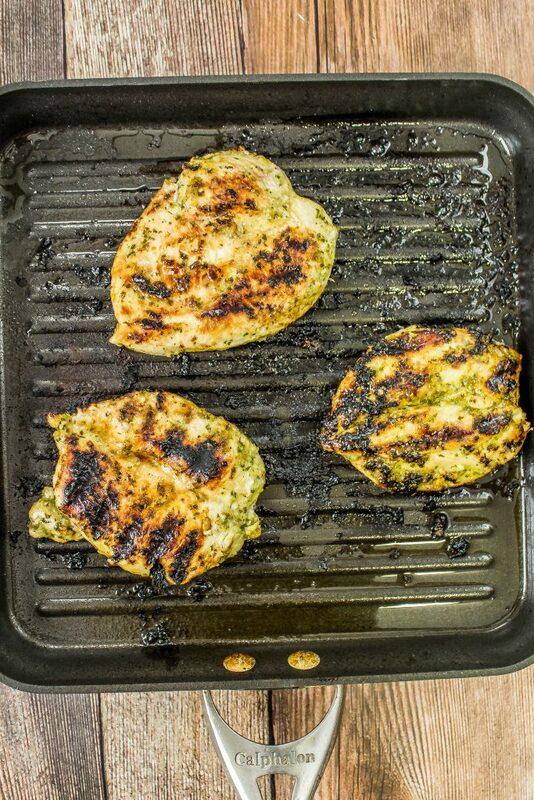 Brush cast iron grill (or indoor grill pan) with olive oil and heat over medium high heat for 10 minutes. If using outdoor grill, heat grill over medium high heat. Grill chicken for 7 minutes, the flip. Brush marinade over the top of the chicken and let cook another 7 minutes. Remove from grill and drizzle the rest of the marinade over chicken. Serve by itself, in a taco, or burrito bowl! Grilled chicken is freezer friendly. June 27, 2017 at 2:27 pm YUM! Your pictures are beautiful and make me want to eat this so bad! June 28, 2017 at 1:51 pm It's delicious :) !! Thanks Leah! June 27, 2017 at 2:58 pm This looks unbelievable! 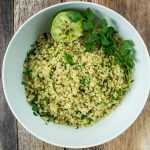 I love cilantro, but my family doesn't so I'll to try with another herb or make this for my girlfriends :) Thanks for sharing! June 27, 2017 at 6:22 pm This looks amazing! I'm going to have to give this a try! My favorite part of summer is grilling! 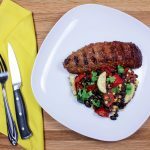 June 27, 2017 at 6:53 pm This looks and sounds amazing! I love a great summer supper that is healthy, but flavorful. The jalapeno and the honey sound like a great combination of sweet and spicy. I know not everyone is a cilantro fan, but I LOVE it! I will definitely make this dish! June 28, 2017 at 1:50 pm Yes! I love sweet and spicy :) Thank you Brittany!! June 28, 2017 at 1:47 pm I hope you do Cheyenne! 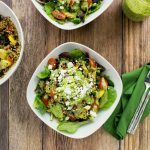 June 28, 2017 at 10:52 am Yes, perfect summer flavors. 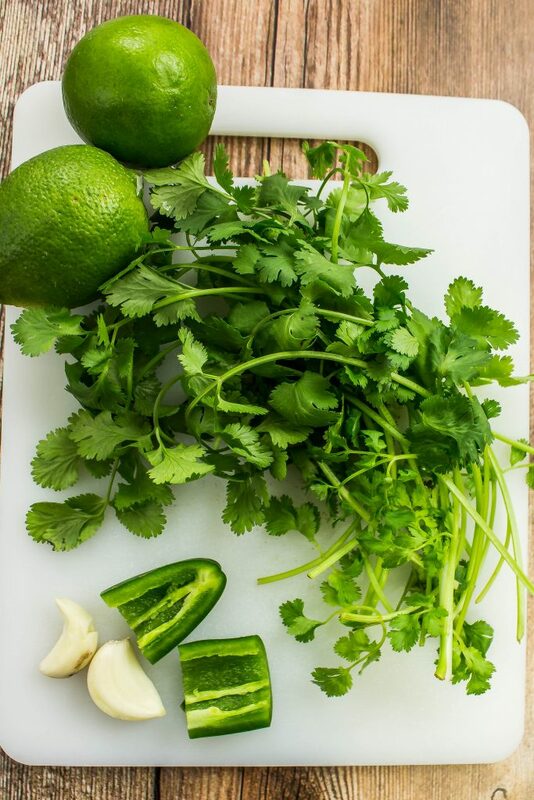 Cilantro and lime are such big flavors and work so well together...not to mention the smoky flavor you get after putting it on the grill. One of my FAV flavor combos (even my 9 year old son has learned to appreciate cilantro & lime) YUM!! August 27, 2017 at 10:58 pm Thank you for sharing this. I am also glad that I can make this ahead of time and can be pan-grilled. The combination of flavors is just awesome. August 29, 2017 at 8:53 am The flavor combo is delicious! I like to make this grilled chicken, then dice up and make into a quesadilla. Thanks Sheila!